Wisdom is not communicable. The wisdom which a wise man tries to communicate always sounds foolish... Knowledge can be communicated but not wisdom. One can find it, live it, be fortified by it, do wonders through it, but one cannot communicate and teach it. 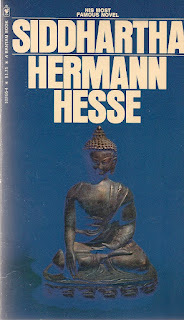 I was under the misconception, that this book was actually about Buddha. Which is one of the reasons why I was expecting something entirely different. For people like me, who have no idea what the book is about, here's a summary, taken from Goodreads. In the novel, Siddhartha, a young man, leaves his family for a contemplative life, then, restless, discards it for one of the flesh. He conceives a son, but bored and sickened by lust and greed, moves on again. Near despair, Siddhartha comes to a river where he hears a unique sound. This sound signals the true beginning of his life - the beginning of suffering, rejection, peace, and, finally, wisdom. While the Siddhartha of this book is not actually the Siddhartha (Gautam / Gotama Buddha), the book is set in his times and he does cross paths with him. The book does incorporate Buddha's four noble truths and the eight-fold plan, not to mention, the book is divided into parts according to the stages of Hindu life. It's a spiritual journey and unlike any of the corny stuff that those words bring to mind. Like I said, the book surprised me, albeit pleasantly. However, I don't see myself re-reading the book, I'm unsure whether I'll like it the second time around, with the element of surprise no longer present. It's short and very moving, but neither of these things suits a re-read. According to me, this book is an amazing one-time-only read, but maybe that's just me. It was a bit difficult for me to get through the German, perhaps the language is a bit stilted (is it?) Some of it just seemed wrong to me and since I don't think it's wise to trust myself on that, I don't know why language was difficult. It helped that it is such a small book. I found my copy at a book sale and it's old and has yellowed pages and these little insightful notes in the margins (I don't really like writing in books, though) and it smells great! German Literature Month 2012 is hosted by Caroline at Beauty is a Sleeping Cat and Lizzy at Lizzy's Literary Life. I'm so glad you reviewed this! It's been on my wish list for ages. 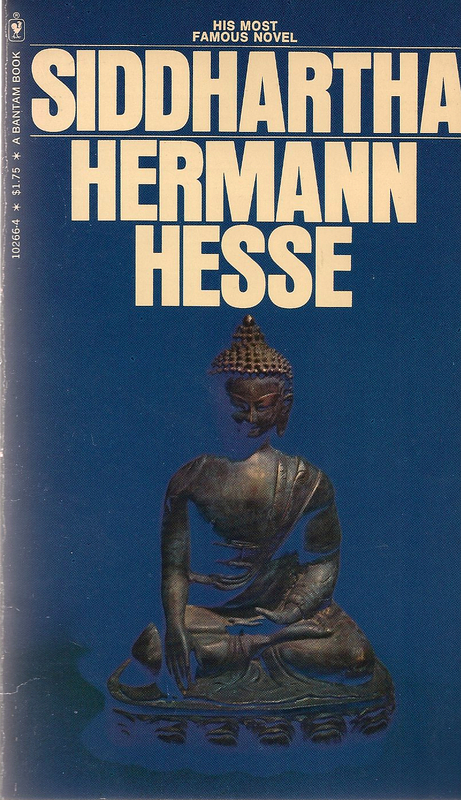 I enjoyed this book and was also surprised because I thought it was about Buddha's life. I still found a lot of interesting things in it though and am glad I read it. I actually have Steppenwolf but I don't even know what it's about. I might read it now, though! Ya, it was definitely interesting. Thanks for stopping by! Thanks for reviewing this one, I knew very little about it either. It does sound interesting, but not top of my list.